Let's all work together and do our part! Texas is a big state! These chapters enable us to network statewide with our Pet Education, Assistance, and Rescue (PEAR) Program, provided as a public service since 1991 at no cost to the state or local communities. RPOA Texas Outreach is organized to promote social welfare within the meaning of Section 501 (C) (4) Non Profit Organizations of the Internal Revenue Code, which allows more lobbying activity, but (as an organization) we cannot support candidates for elected offices. However we can maintain and report voting records for all elected officials. Our local Texas chapters are a very “informal” relationship with no scheduled meetings, no minutes, no dues, and no financial activity. IRS requires policies and procedures to be in place that the chapters follow with oversight by RPOA to ensure operations are consistent with our mission. Activities could affect our exempt status and reporting requirements. All chapter memberships are at the discretion of the local chapter chairmen! Primarily: These chapters will be RPOA “Watchdogs! Legislation, media articles, TV programs, etc. PUREBRED RESCUERS: Be listed with RPOA’s statewide All Species Purebred Rescue Program, only such program in the U.S. Contact rpoa@texas.net for more information. 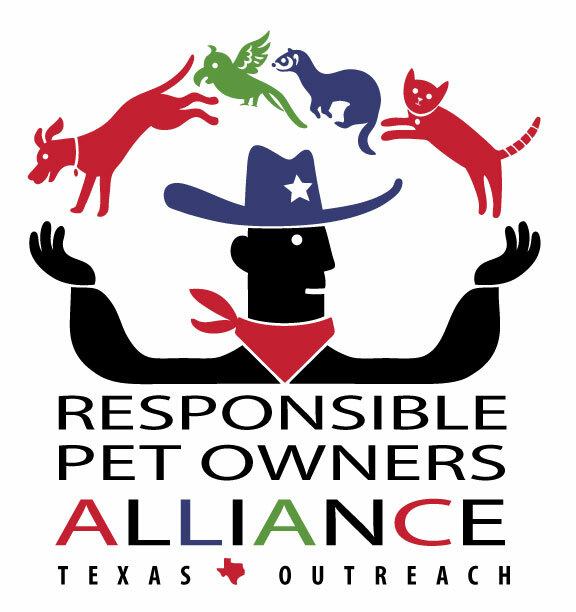 Sign up new subscribers to our low volume announcement-only Texas RPOA E-News to be informed on all local, state and federal animal issues. Email rpoa@texas.net to subscribe. 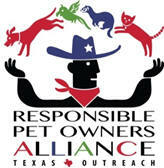 Provide a voice of reason regarding Texas animal welfare issues at all levels of government. Support the AKC Canine Good Citizenship (CGC) Test and Certification, which strengthens the human/animal bond and reduces the number of animals killed in shelters. Support AKC Responsible Dog/Pet Ownership Days: Many AKC clubs participate each year. AKC and RPOA have excellent materials available. ESTABLISH RELATIONSHIPS WITH area elected officials, who may someday move up to the state level. Monitor local Animal Control Advisory Boards. If possible, find someone to serve on them in order to have access to information and materials for input before bad legislation is proposed.